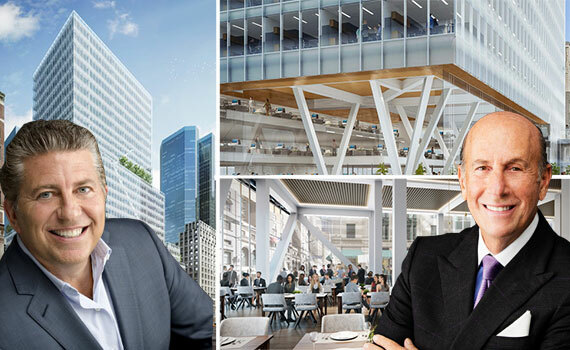 After scoping out space in Hudson Yards last year, Hogan Lovells appears to be ready to pull the trigger on a new office on the other side of town. The Washington, D.C.-based law firm is considering a lease for more than 200,000 square feet at 390 Madison Avenue, according to Crain’s. The owners of the 900,000-square-foot tower, Clarion Partners and the New York State Common Retirement Fund, selected L&L Holding Company to embark on an ambitious overhaul of the mid-century tower. L&L stripped it bare and redesigned the vacant 32-story building with a new, brighter facade, and has both removed and added floors to raise ceiling heights and increase sunlight. Work is expected to finish in summer 2017. The timing works out well for Hogan Lovells, which has a 110,000-square-foot lease expiring at 875 Third Avenue next summer and was eyeing a space at Hudson Yards. It’s not clear what Hogan Lovells would pay in rent at the Madison Avenue tower, but asking rents on the higher floors are over $100 per square foot, according to Crain’s.